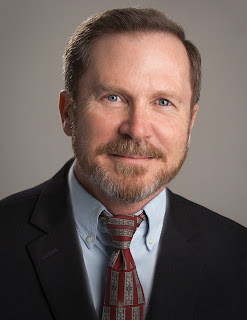 Today’s guest is Joel Hornberger, the Chief Strategy Officer and National Training Director at Cherokee Health Systems, headquartered in Knoxville, Tennessee. I had the good fortune to hear Joel speak last fall at an event sponsored by the New Hampshire-Vermont Chapter of HFMA and invited him to be on the podcast, and I’m really pleased that he did. Cherokee Health Systems is a combined Federally Qualified Health Center and Community Mental Health Center, which is kind of unique. Cherokee provides care for more than 70,000 patients through it’s 23 brick and mortar locations and 23 additional telemedicine sites. Cherokee has been an innovator in the area of integrating behavioral health and primary care, which is the focus of my conversation with Joel today. In the interview we talk about how Cherokee uses embedded behavioral health consultants (BHCs) to collaborate with primary care providers as well as the Clinic developed a unique rating system called the BPSA to quantify the needs of individual patients, among other things. I really enjoyed talking with Joel because his passion for integrated care and the FQHC mission is so apparent. I hope you enjoy this conversation as much as I did. During the podcast I make reference to a presentation that includes a floor plan used for integrating primary care and behavioral health, as well as the BPSA. You can find that presentation here. 0:10:18 "going where the grass is brownest"
1:08:03 what makes a good leader? 1:17:28 why should early careerists look to FQHCs?